The latest report by Vocal Eyes reveals that blind are partially sighted people are missing opportunities to experience and enjoy art and heritage due to lack of accessible information from museums. There are many examples across the UK of museums, galleries and heritage sites welcoming and providing good opportunities for blind and partially sighted and other disabled visitors to experience their venue and collections. Indeed, UK museums are recognised among the most accessible of all public buildings. A range of museums across the country from the nationals to smaller local and independent museums and heritage sites offer resources and public programming include audio-described tours, handling sessions, large print and braille labels, tactile maps and drawings. Above all, many venues have staff trained to welcome, guide and support blind and partially sighted visitors. However, the State of Museum Access report shows that this is only true of a small proportion of museums, with many appearing to take no steps to welcome or provide access information or resources for blind and partially sighted people. 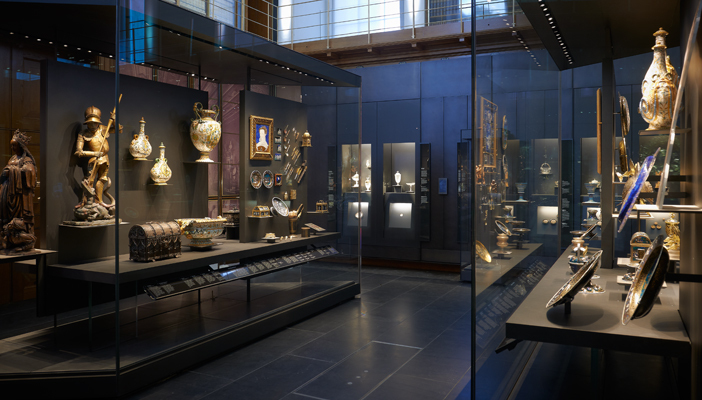 As a result, these museums will be losing visitors, revenue and reputation, and are potentially in breach of the Equality Act 2010, that requires organisations to make reasonable adjustments to ensure that disabled people can access their buildings and services. Just under a third (27 per cent) of UK museums provide no access information on their website for disabled visitors planning a visit. Only 30 per cent of UK museums provide information on their website that would be useful for a blind or partially sighted person planning a visit. Only 18 per cent of museums publicise labels or information for their exhibits in large print. Only 10 per cent of museums publicise live audio-described tours/handling sessions for blind and partially sighted visitors. Only 5 per cent are taking advantage of websites that provide detailed access audits such as DisabledGo.com and Euans’ Guide. Evidence shows that online access information is a key factor in the decision-making process for disabled visitors, and that many will not visit if access information is absent. For too many museums, access information for blind and partially sighted people consists of a solitary message welcoming guide dogs. For every guide dogs owner in the UK, there are around 75 other registered blind or partially sighted people who do not use a guide dog. “It’s very disappointing to see the low priority given to disabled customers. We should be able to enjoy the richness of art and heritage, alongside other citizens. Galleries, Museums and heritage sites should be building accessibility into their everyday customer service. Adjustments made for disabled people will benefit everyone, ” said Fazilet Hadi, Director of Engagement at RNIB and VocalEyes Trustee. To download the report and guidelines to help museums improve the quality of their information for disabled visitors, please visit the Vocal Eyes website.